Looking for Christmas cookie ideas for a party or cookie exchange? 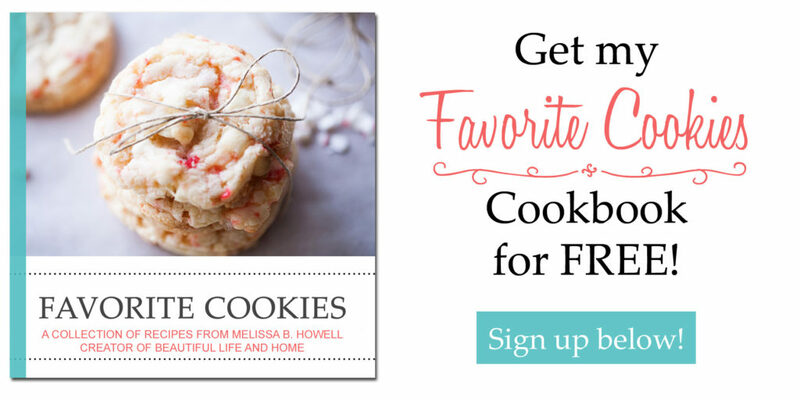 I’ve got you covered with these 20 Christmas cookie recipes that will be just perfect for you! Whether you’re looking for easy Christmas cookies (like no-bake and drop cookies), fancy cookies (like slice-and-bake and dipped cookies), or unique Christmas cookies that will truly impress, you’ll find them here! I had to put these FIRST because they are our ALL TIME FAVORITE CHRISTMAS COOKIE! Christmas would not be Christmas without these cookies. These are so fancy with the corners dipped in chocolate with toffee bits sprinkled on top. Be prepared to be addicted! I could not stop eating these Peppermint Chocolate Slice and Bake Cookies! Enjoy the tart flavors of cranberry and orange tempered by some mellow, sweet white chocolate. Yum! Even the Grinch would not be able to resist these gooey Chocolate Marshmallow Cookies. A kid favorite! Ginger cookies baked in muffin tins, because it makes them thick and chewy and irresistible. Plus, there are chocolate chips inside, and extra chocolate on top. Trust me. This is one cookie you don’t want to pass up! One of my all-time most popular cookie recipes! Grated orange peel is mixed in the dough, and then added to the sugar mixture you roll the cookies in. These taste just like those chocolate oranges! The video for these cookies went viral. It’s not hard to see why! What a fun, festive cookie for Christmas! I love how the humble snickerdoodle has been elevated with just a little snowflake piped on top. What a fun, cute cookie! Get out your piping tips for this one! How fun would these be to add to a plate of cookies for your friends and neighbors? I bet their jaw drops in delight! Of course, we HAVE to have snowball cookies! These are also known as Mexican Wedding Cookies or Russian Tea Cakes. Have you HAD the lacey cookies from Trader Joe’s? If so, you know what a life-changing experience that is. These are copycat cookies that would make me SUPER happy. You can never have too much peppermint, especially at Christmas time! These cookies are made from scratch and topped with luscious frosting and crushed candy canes. I love the blue frosting and sparkly sprinkles that look like little snowflakes on these simple meltaway cookies. Just use store-bought cookies and dip them in almond bark or white chocolate for these super simple Christmas cookies. Yes! Green cookies for Christmas! I could eat a whole batch! Don’t want to heat up your kitchen or wait for cookies to bake? Try these no bake cookies with coconut and pecans. For even more great cookie ideas, check out these roundups from The Dating Divas and Yellow Bliss Road, and Somewhat Simple. What an amazing variety of deliciously sweet recipes! I’m always looking for fresh ideas for Cookie Exchanges! Love all of these recipes! All these cookies are so festive! I don’t know which one to try first! All these cookies look so good!! I’m always on the lookout for new ones to try! !